I like concept albums. Allow me to reiterate, I love concept albums. There is something very rewarding in an album that intertwines a theme throughout its run-time, lyrical content, instrumentation, and artwork... something that pulls you in for more than a mere three minutes and forty seven seconds... something that tells a story... something that, when done well (see concept albums: Pink Floyd; The Wall, Animals, Queensryche; Operation: Mindcrime, Mastodon; Crack the Skye), draws you into an intimate relationship with the piece of music. 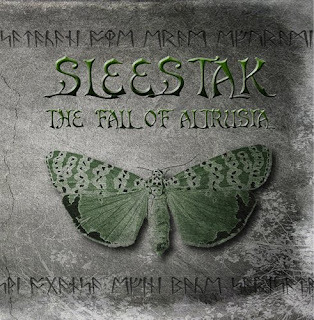 Sleestak's "The Fall of Altrusia" is outstanding and has completely taken me by surprise. It is exactly what I want in a "concept album". From the moment the first notes graced my ears, I was captivated. Sleestak fuses hulking grooves with cosmic psychedelia. I consider Sleestak a "jam band", but in the most positive way. "Jam bands" will tend to get carried away with a drawn out jam session and the listener can become bored, Sleestak is nothing of this type and their influences from Black Sabbath and Pink Floyd are noticeable, but never define their sound. "The Fall of Altrusia" runs approximately fifty minutes as one song. The song is broken into seven chapters, which I find refreshing and new in concept, metal albums. This, in addition to the excellent artwork and lyric notes should completely pull us into Sleestak's story "The Fall of Altrusia". The songs, or I should say chapters, run fluidly into and through each other. "The Fall of Altrusia" intensifies and diminishes with heavy guitar driven moments and cosmic interludes and so goes the vocals. Matt Schmitz vocal presence must be noted. His overpowering roar compliments Sleestak's orchestration during the vehement scenes and recedes into a cleanly sung tone with the transition into a placid soundscape. 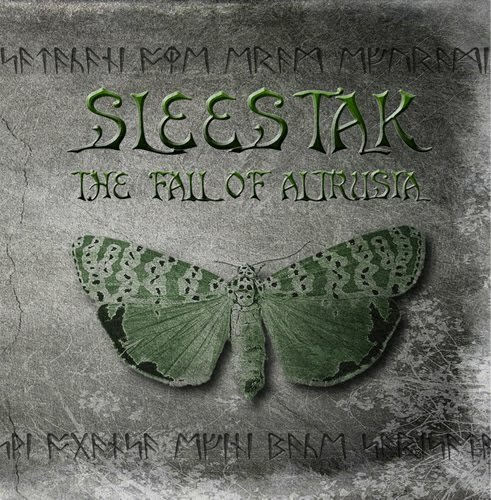 The Fall of Altrusia climaxes with "Chapter 6 - The Marshall Prophecy" and subsides into obscurity in "Chapter 7 - Pakuni Shaman Chant of The Altrusian Moth". "The Marshall Prophecy" is tremendous in depth and texture as it is in run-time (closing in around 17 minutes). A track this magnitude could easily be compared to Pink Floyd's "Echoes". I must apologize to these 'gents from Milwaukee, Sleestak. I've taken too long to get the word out about "The Fall of Altrusia". Hell, I've been missing out on this album for too long! Without further ado, the best concept album of the year (and undoubtedly in my top ten) , "The Fall of Altrusia".